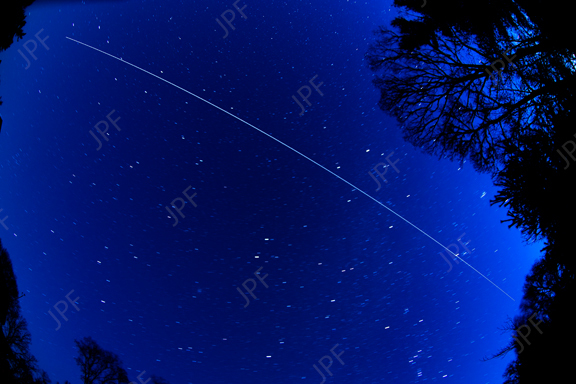 ISS pass March 23, 2019. Nikon D750 10.5 mm lens, ISO 100, f 3.5, exposure time 192 seconds. Shot 1 hour 20 minutes after sunset.